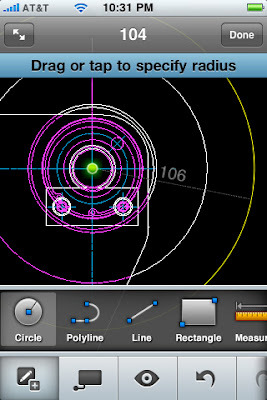 Autodesk release SketchBook Mobile (http://www.autodesk.com/sketchbookmobile) for iOS devices some time ago. Now they have ventured into the realm of Android. This is significant and fantastic at the same time. 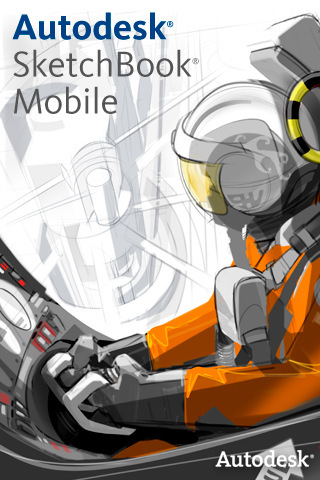 This would seem to say that Autodesk is in the mobile CAD business and plans to expand. 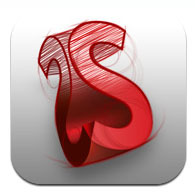 Autodesk SketchBook Mobile for Android is available for $2.99. A free Autodesk SketchBook Mobile Express app is also available. Both apps are available no running on Android 2.1 and above, check them out in the Android Market. Autodesk SketchBook Mobile uses that same engine as Autodesk SketchBook Pro desktop software. It is a combination of high-quality digital pencils, pens, markers and brushes. This software allows users to be creative in a digital format. Designers, artists, illustrators, hobbyists, and students can all use the software to freely create works of art. Both of these versions of SketchBook Mobile are also available in the iOS App Store for the same prices. AutoCAD 2011 has added several new abilities to its design process tools. One such new addition is the Select Similar Tool. 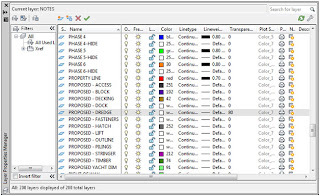 This is our second article in a series looking at the new features in AutoCAD 2011. 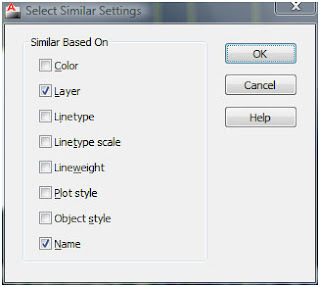 The Select Similar tool gives users the ability to automatically select objects with similar traits. There are two main ways to activate this tool: select an object and right click, or typing selectsimilar on the command line. The right click method will bring up the right click shortcut menu. Move down the list until you find the select similar option and pick it. According to the filter settings, every object that is similar (in the file) will automatically be selected. 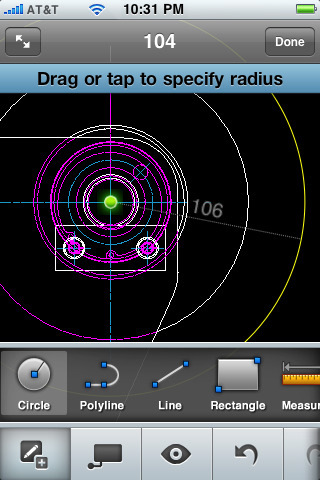 This tool can help you select all of the hatch patterns in a few clicks. If you type the command in you will then pick your object to use as a filter, press enter, and away you go. Selecting more than one object will better define what objects you are going to pick, and don’t forget the filters (see figure 1.) You can filter objects according to Color, Layer, Linetype, Linetype Scale, Lineweight, Plot Style, Object Style, and Name. Toggle on or off any combination of these settings that you want to use. The default settings come with Layer and Name as on, all others are off. That means that if I select a hatch object, then all hatch objects on that layer will be selected. If I pick two hatch patterns, each on different layers, then every hatch on both layers will be selected. The more objects you select, the more criteria you add to the filter. But if you pick different object types, a hatch and a region, that are different layers, they won’t overlap. That means that the hatch patterns will have to be on the hatch’s layer and regions have to be on the regions layer. Most of the filters are self-explanatory. Color selects objects based on their color. If they are set to bylayer, then only bylayer objects will be selected. Object style applies to obejcts that have styles, like text or dimensions. To gain access to the filter list, type SELECTSIMILAR on the command line. You then have the option to select your filter object, or to type SE to get to the settings. A window will open up where you can pick the filters you want to use. Figure 1: The Select Similar Settings window allows you to set the automatic selection filters that you want to use. Many times in AutoCAD we need to pick through objects that are literally stacked on top of each other. This can make getting the right object difficult. Pressing the SHIFT+SPACE keys on the keyboard will highlight and toggle through the objects near your crosshairs, but now AutoCAD 2011 has an automatic cycling feature. When you pick an object and there are others on it or under it, a list of those objects appears. Scroll through the list until you find the one you need. You can toggle this tool on and off through the status bar. Right click on the Selection Cycling icon on the status bar to get to its settings. Change the location of the Selection Cycling Window, and other formatting features. Figure 2: Here is the Selection Cycling window showing us what objects there are to choose from. Another new drafting tool is the Add Selected tool. This new tool allows you to create new objects based on a selected object that is already in your file. To start the command, select an object, then right click. In the right click menu, pick the Add Selected option. If you pick a line, then the line command starts. If you pick a circle, the circle command starts. The new object will also take on the characteristics of the selected object. It will be drawn on the same layer, with the same color and linetype settings as the selected object regardless of the current settings in your drawing. If you are working on a layer called EXISTING SIDEWALK and you see that you need a quick line on the NEW ROOF layer, pick a line on that layer and AutoCAD will temporarily make the NEW ROOF layer active and start the line command for you. When the command is finished, your settings go back to the way they were. This command can help you get small things done even more quickly. The Action Recorder was introduced in AutoCAD 2009. It is a great tool that allows you to create macros to help you get a series of steps done, again and again. AutoCAD 2011 now allows you to add or remove user messages for view change operations. It also displays a list of the most recent macros you have used above a separation bar while showing all available macros below. This is handy if you use certain macros often. It’s a small thing, but it is useful. It works similarly to the file lists in the application menu. AutoCAD added a new object property called Transparency. It is a setting that allows you to make an object or objects translucent, or see through. It can be assigned to objects or layers just like color and linetype are. The new property has been added to the Layer Manager and its value can be assigned to layers and controlled through Viewport transparency, just like View Port Color or linetypes are assigned. The default value for an object is Zero, for no transparency. The value spans from zero to 90. You cannot make an object 100% transparent, only up to 90% transparent. Each value for the setting is a percent. Zero percent means it has no see through (or transparency) traits at all. 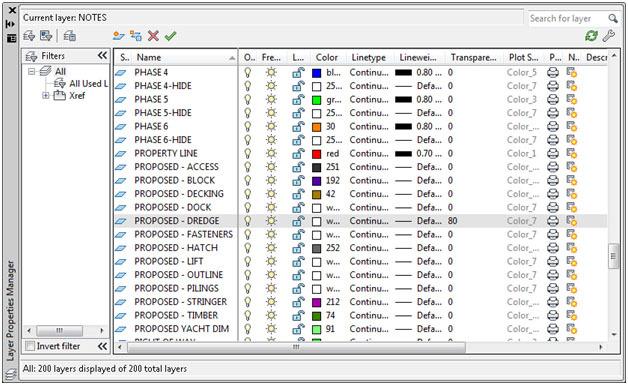 Figure 3: the layer manager can control the transparency settings of your objects. Transparency can also be set per object. There are many valuable new tools and updates in AutoCAD 2011. We have only gotten through about a third of them. There are many new documentation tools that have been added as well as several high end 3D Modeling tools. We will continue this look at the new features over the next few articles. I haven't had a good rant in a while so here goes. I haven't had a good post in a while either, but we'll see what we can do about that. I love tech. I can't help it. That means that I love the internet. There are so many tools out there, that are free, that most of us can use in our professional careers. The internet is not just a toy, it is a tool. Why can't I get clients and coworkers to use it? I understand not wanting to use tools that cost money. But when there are so many free (yes free) collaboration tools available to us, why not use them? There are also so many free production and group tools out there that many users would never have to purchase an office suite of software. My son is also a member of an Odyssey of the Mind team. They are using Google Groups and Documents to collaborate their data, scripts and ideas. Since this is in the cloud, each member has full access to everything at any time. It is reducing the number of meetings, keeps the data secure, and allows each team member to contribute when they have the time, no matter where they are. My rant? If students in middle school are using internet collaboration tools and the cloud to get their work done, will we have the skills needed to stay ahead of them when they join the workforce? I know I'm going to make sure I can compete. I want to stay relevant because I need a job. Happy Thanksgiving everyone! Time for me to eat! YAY! !